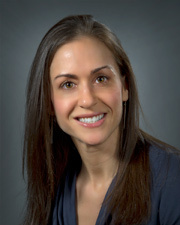 Dr Shalom is double board certified in Obstetrics and Gynecology and Female Pelvic Medicine and Reconstructive Surgery. She completed her residency at New York Presbyterian Weill Cornell Medical Center and her Fellowship at North Shore-LIJ Hospital. She has published numerous articles in her specialty and has won multiple teaching awards including the prestigious national CREOG award for resident education. She offers patients both medical and surgical options for their conditions, and specializes in minimally invasive approaches to surgery. "Dr Shalom seems to be knowledgeable in this area of complicated medical care." "As you can see Dr. Shalom was/is a caring physician." "Dr. Shalom is a true professional. Kind, caring and you can tell he is committed to providing you with the best of care. Even though I am a nurse, she explained everything so that I could understand it. Showing me pictures on the computer helped me." "Dr. Shalom and her staff were quite professional and caring. I felt more confident under her care." "Dr. Dara F. Shalom MD. She an excellent dr. She treat me with kindness. Very loving. She cares for the patient. I will recommend her with my friend and family." "Doctor Shalom was one of the doctors I have visited. She took her time listening to my concerns and explaining all the issues I had. She is amazing"
"Dr. Shalom is a very kind and understanding doctor. Very efficient. I was nervous going in but was at ease in the examining room by the excellent care of the staff." "I really liked Dr. Shalom. She was very approachable and encouraged questions. Was respectful and explained my condition very clearly. Was smiling and comforting." "Showed sincere concern about my health & asked whether I had any questions with regard to the treatment suggested by her." "Dr. Dara Shalom MD is excellent in her professional medical care for me at her knowledge of urology -9. Excellent." "time spent was great, I was included in all decisions. Doctor was very considerate and professional. also very sweet to someone my age"
"Absolutely will recommend Dr. Shalom." "Already recommended someone to Dr. Shalom." "Dr Shalom is one of the kindest and compassionate doctors I've ever met"
"We liked the dr. very much." "I liked Dr. Shalom. I'd like her to do surgery on me. I am coordinating my working schedule and I will notify her far in advance as per her advise. " "I was impressed with the care and time the doctor gave. " "Dr. Shalom is excellent, caring physician who listens to patients concerns." "Dara Shalom, MD is a terrific care provider!" "Dr. Shalom is by far the best doctor I have ever seen. She listened to my concerns, gave me clear answers and actually helped. Just amazing"
"Made me fell comfortable. Answered questions clearly." "Dr. Shalom is one of the most awesome MD's I've ever been to (& I'm 56!) Warm, friendly, caring, professional, knowledgeable. I wish she could be my MD for EVERYTHING!!!" "Doctor Shalom was very helpful to find the information in my primary language"
"The doctor was very direct and to the point. She comes across as well educated and knowledgeable. She took the time to explain things to me and answered all of my concerns but she came off a little cold and un-empathetic. Overall the visit went well and I would come back but I did not get a warm fuzzy feeling from her." "Dr. Shalom and the surgical coordinator Ms. Seema Rahman are exceptional." "I need more time to become comfortable and confident with the provider- I only met her once"
"Dr. Shalom was wonderful - personable, professional, clear - she put me at ease immediately." "I also am an employee of Northwell Health and am proud to say the staff, nurses & Dr. Shalom were very professional & amazing!!! They all met my needs. I would recommend Dr. Shalom to all!" "Wonderful doctor, very caring & sweet." "Dr. Shalom is a warm and caring individual"
"She was very helpful towards me." "I feel more time should be spent with a patient." "Dr.Dara F. Shalom has a pleasant personality. She is so caring concern understanding and sensitive to my sister needs we really like her." "Will be getting surgery by Dr. Shalom in April I have total confidence in her. She has been an absolute sweetheart! She counseled me very gently about my smoking without judgment and with genuine concern." "On this office visit - Dr. Shalom seemed to rush thru my appt." "Provider seemed in a hurry to finish and leave!" "Wish there were more doctors like Dr. Shalom!" "Excellent doctor. Very very happy with her and all the information she has provided about my condition." "Very impressed - Good experience." "I already gave her name to three friends." "It was a good experience for me." "Doctor wrote down what was necessary; emailed prescription, called for follow up procedure & appt." "My dr. is very patient with me." "I found Dr. Shalom to be arrogant and difficult to communicate with. When I was taking notes in her office while discussing my course of treatment, she insisted that I stop and very patronizingly told me she was writing down what I needed to know for me. When I'm not note taking, I cannot process the information I'm hearing. That was very upsetting for me." "Dr. Shalom was thorough & explained everything to me quite clearly." "Dr. Shalom made me feel like if I were a family member of hers - and that was a great feeling." "Dr. Shalom is wonderful. I would definitely recommend her." "Doctor was very honest telling me about outcome of surgery... She was excellent." "Dr. Shalom was a great help to me." "The technology the doctor used to illustrate my condition & treatment were remarkable." "I would highly recommend Dr. Dana Shalom." "Dr. Shalom was very gentle and excellent, I was so scared and she made me feel OK."